2 Nephi 4:16-35, known by many Book of Mormon readers as “Nephi’s Psalm,” expresses Nephi’s personal hopes, joys, sorrows, and trials. There are many parallels, in both style and wording, between Nephi’s Psalm and the Psalms of the Old Testament. But is “Nephi’s Psalm” really a psalm? Is it like or unlike the Psalms in the Old Testament? If it is, what did Nephi hope to pass on to all his readers by structuring his feelings in this way? LDS scholar Matthew Nickerson analyzed Nephi’s Psalm to determine which specific genre or type of biblical psalm it was. Nickerson argued, “if Nephi’s Psalm is a psalm in the ‘biblical sense of the term,’ then it should fit” a known type of psalm. The attitude of trust is the key to the psalmist’s preparation, for trust signifies dependence and hope based upon the covenant character of God. He trusts because God is faithful as the God of the covenant promises; he trusts because those who have trusted in the past have experienced the presence and help of God. In 2 Nephi 4:19, Nephi declares the source of his hope for forgiveness and deliverance, the fact that “I know in whom I have trusted.” Very similar expressions appear in Psalms 25:20 (“for I put my trust in thee”) and 28:7 (“my heart trusted in him”). As part of this covenant-making process, the psalmist(s) in Psalms 25-31 typically does five things: (1) he recognizes his sins (compare 2 Ne 4:17-19; Ps 25:7, 11); (2) he pleads for forgiveness so that the covenant curses come not upon him (compare 2 Ne 4:26-28, 31-33; Pss 25:16-20; 28:1-3), but that they fall upon his enemies, the wicked (compare 2 Ne 4:22, 31, 33-34; Pss 25:2-3, 19; 28:1, 3-5); (3) he dedicates himself to keeping the covenant/commandments of the Lord (compare 2 Ne 4:28-30, 34; Pss 25:15, 21; 28:7); (4) he petitions the Lord to guide him in the right way (compare 2 Ne 4:32-33; Pss 25:4-6, 8-10; 28:3, 7); and (5) he rejoices because of the Lord’s help and thanks/praises God (compare 2 Ne 4:20-25, 30, 35; Pss 25:6-8; 28:6-8). As mentioned above, the temple is the clear setting of most of the psalms in this series. Craigie declares Psalm 26 to be a song for “a ritual for pilgrims at the temple gates.” Psalm 27 speaks of dwelling in the temple, inquiring of the Lord and seeking to see His face there (Ps 27:4-5, 8). Psalm 29 also mentions the temple (29:9) and the heading to Psalm 30 may indicate that it was composed for use at the dedication of the temple. Although Nephi does not make explicit mention of the temple, his next chapter reports the building of the temple in the city of Nephi (2 Nephi 5:16), and so the temple may already have been on the mind of Nephi when he used such patterns from the Psalms as he composed his deep thoughts and solemn feelings in 2 Nephi 4. The preceding is only a small sampling of the many parallels in structure, language, and themes that are shared between the Psalm of Nephi and the Psalms of the Old Testament. 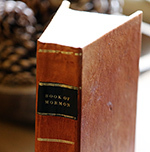 It is clear that Nephi had oral or written knowledge of the wording and style of those biblical psalms (especially those that may have been contained on the Plates of Brass) and that he very skillfully utilized this literary knowledge in the writing of his own poetical and soul-felt composition. With this background, readers can draw deep spiritual strength from Nephi’s psalm, as they relate to the five phases typically present in the covenant language of the Psalms. People are encouraged to honestly recognize their sins, shortcomings, and faults, as Nephi confidently confronted his own challenges and anger. Worshippers then find in Nephi a role model for sincere pleading with the Lord for forgiveness. They then see Nephi rededicating himself to his covenants with God, and committing himself to follow the right path. Finally, the faithful then openly express their joy in gratitude for the goodness and redemption of the Lord. In this psalm, Nephi shows that he was a skilled author and a brilliant student of the Scriptures. All of his writings regularly demonstrate his ability to integrate scriptural words and phrases. The fact that the “Psalm of Nephi” borrows so extensively from a number of different biblical psalms is evidence that Nephi knew and cherished many of the biblical Psalms, that he joyously used them in his daily life and writing, and that the inspired words of the Scriptures, including the Psalms, were very dear and comforting to Nephi. The primary purpose of these scriptural psalms is to help us ‘grow brave by reflection,’ help us exert the faith necessary to ‘smile in trouble’ and ‘gather strength from distress.’ The promises of light to those who are engulfed in darkness and strength for those who are battling an enemy are regularly recurring themes throughout the psalms. … But the backdrop … is the realization that life is very difficult and mortals need God’s constant care in order to prevail. 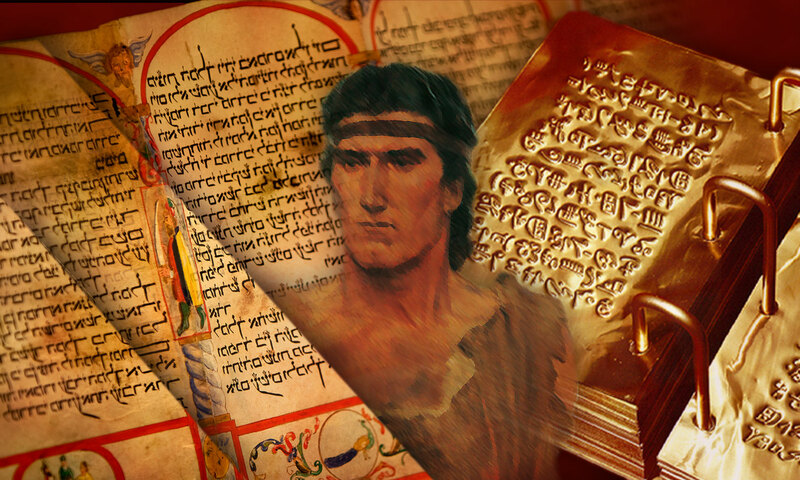 Structuring his feelings in the form of a psalm allowed Nephi to emphasize his own emotional struggles and how he responded to them. He used a structured format that drew parallels between the problem and the answer. In so doing, he followed a well-recognized pattern for how one should act in the face of spiritual and temporal difficulties and dedicate himself/herself to keeping their covenants with the Lord. The fact that Nephi structures his psalm on the pattern of some of those in the Bible that deal with temple and covenant imagery should indicate to us that the temple is truly a place of refuge from the storms of our lives and that there is safety and direction in keeping the covenants that we make there. Furthermore, although some may look at the parallels between Nephi’s Psalm and Psalms 25-31 and suggest that Joseph Smith simply plagiarized from the Bible, the fact that these psalms focus on aspects of ancient covenant making that are not entirely obvious to modern readers lends credence to the historicity of the Book of Mormon text. Psalm of Nephi,” in Ascending the Mountain of the Lord: Temple, Praise, and Worship in the Old Testament (2013 Sperry Symposium), ed. Jeffrey R. Chadwick, Matthew J. Grey, and David Rolph Seely (Provo, UT: Religious Studies Center, Brigham Young University; Salt Lake City: Deseret Book, 2013), 312–28. Mountain of the Lord: Temple, Praise, and Worship in the Old Testament (2013 Sperry Symposium), ed. Jeffrey R. Chadwick, Matthew J. Grey, and David Rolph Seely (Provo, UT: Religious Studies Center, Brigham Young University; Salt Lake City: Deseret Book, 2013), 291–311. Kent Brown, “Nephi’s Psalm,” in The Book of Mormon Reference Companion, ed. 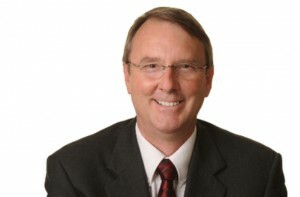 Dennis Largey. Salt Lake City: Deseret Book, 2003.
on the Ancient World. June 1999. Analysis,” Journal of Book of Mormon Studies 6, no. 2 (1997): 26–42. Scripture, vol. 4: 1 Kings to Malachi, ed. Kent P. Jackson (Salt Lake City: Deseret Book, 1993), 413–14. Jackson, Studies in Scripture. Salt Lake: Deseret Book, 1987, vol. 7. Hugh Nibley, Since Cumorah (Salt Lake City: Deseret Book, 1983), 140. Mormon (reprinted: Salt Lake City: Deseret Book, 1955), 1:264–71. The appellation “Nephi’s Psalm” appears to have been coined by Sidney Sperry in Sidney B. Sperry, Our Book of Mormon (Salt Lake City: Stevens & Wallis, 1947), 110–11. Steven Sondrup conducted a study on these verses in order to evaluate their poetical value. He noted that the passage contains structure, rhythm, parallelism, chiasms, verbal pairings, couplets, triplets, and other features of intentional poetic structuring. Furthermore, Sondrup concluded that “logical, formal or conceptual units are set parallel one to another” as they are in the Hebrew poetry of the Old Testament. See Steven P. Sondrup, “The Psalm of Nephi: A Lyric Reading,” BYU Studies 21, no. 3 (1981): 357-372. Formatting added. Matthew Nickerson, “Nephi’s Psalm: 2 Nephi 4:16–35 in Light of Form-Critical Analysis,” Journal of Book of Mormon Studies 6, no. 2 (1997): 26–42, at 30. For examples in the psalms of “individual laments” with this basic structure, see Pss 3, 5-7, 9, 12-14, 17, 22, 25, 28, 31, 35, 38, 39, 51, 53-58, 61, 64, 69-71, 77, 83, 86, 88, 102, 109, 130, 139-44. Kenneth L. Alford and D. Bryce Baker, “Parallels between Psalms 25–31 and the Psalm of Nephi,” in Ascending the Mountain of the Lord, 312–28. See also John Hilton III, “Old Testament Psalms in the Book of Mormon,” in Ascending the Mountain of the Lord: Temple, Praise, and Worship in the Old Testament (2013 Sperry Symposium), ed. Jeffrey R. Chadwick, Matthew J. Grey, and David Rolph Seely (Provo, UT: Religious Studies Center, Brigham Young University; Salt Lake City: Deseret Book, 2013), 291–311. There are many more examples of parallel language. For more, see Alford and Baker, “Parallels between Psalms 25–31 and the Psalm of Nephi,” 312–28. Although not so much in Psalm 31, these themes are clear in all of the other psalms in this series. Peter C. Craigie and Marvin E. Tate, Psalms 1-50, World Biblical Commentary, vol. 19, Bruce M. Metzger, gen. ed. (Second Edition; Nashville: Thomas Nelson, 2004), 218. Craigie and Tate, Psalms 1-50, 224. The lack of explicit mention of the House of the Lord here may have been due to the fact that at this point in his narrative, they do not yet have a temple (it is built in the next chapter, 2 Nephi 5:16). However, his discussion of receiving visions and being carried to exceedingly high mountains (4:23–25) is about as close as one can come to having a temple experience without having a physical sanctuary (see also 4:32–33 for more temple-related imagery). R. Scott Burton, “The Hymnal of Ancient Israel (Psalms, Part 1),” in Studies in Scripture, vol. 4: 1 Kings to Malachi, ed. Kent P. Jackson (Salt Lake City: Deseret Book, 1993), 407-08.